RPGs or role playing games continue to be some of the most popular forms in the gaming world, and Final Fantasy and World Of Warcraft are undoubtedly the most popular of the lot. Each of these games has its fans and detractors of course, and since it is nearly impossible to form a consensus as to which is best, we instead take a look at their more salient points. Final Fantasy is a video game series created by Hironobu Sakaguchi. Developed by and under the ownership of Square Enix, Final Fantasy belongs to the fantasy/science-fantasy genre of role-playing games or RPGs. 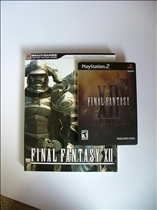 The Final Fantasy franchise also includes motion pictures, printed merchandise and various other products. Final Fantasy was launched in 1987, when it was first released as Square Enix’s last-ditch effort to forestall bankruptcy. The game was of course massively successful, and numerous sequels followed in its wake. The series has since expanded to include role-playing, action, massively multiplayer online, and racing games. World Of Warcraft–or World Of Warcraft as it is often called–is a massively multiplayer online role-playing game or MMORPG that is the product of Blizzard Entertainment. The game is actually the fourth installment in the Warcraft series, which started out with Warcraft: Orcs & Humans in 1994. Another game in the series is Warcraft III: The Frozen Throne. World of Warcraft was released on November 23, 2004, coinciding with the 10th anniversary of the Warcraft franchise launch. Most Final Fantasy games are intended to be independent from one another. This is the main reason why they have different settings and main characters. That being said, almost all the games have elements common to each other, including plot themes, names of characters, and gameplay. Final Fantasy games revolve around the travails of a group of heroes as they come into conflict with an evil force, while dealing with their own internal struggles and interrelationships. Most of the character names used in Final Fantasy are derived from historical and mythological creatures from all over the world. Like the other games in the Warcraft series, World Of Warcraft is set in the imaginary world of Azeroth. All throughout, the familiar fantasy elements of the Warcraft series are used. These include gryphons, dragons, elves, zombies, vampires, and even a host of technology driven creations. Other common elements and themes are time travel, spaceships, aliens, and other typical science fiction accouterments. Final Fantasy requires players to take command of groups of characters as they make their way through the game world, coming up against various opponents. These opponents typically show up at random throughout the game, at least in the early versions of the series. With the release of Final Fantasy XI and Final Fantasy XII however, the appearance of enemies became a lot more structured and predictable. 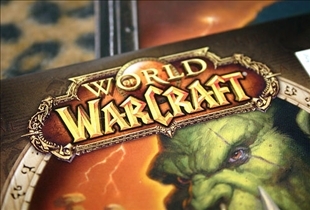 As for World Of Warcraft, players are required to control character avatars in either third- or first-person view, all the while exploring the game world and fighting off various opponents. In addition, there are also quests to complete as well as numerous opportunities to interact with non-player characters. Which game offers better tools to players?